A corps member serving in Zamfara State, Fidelis Chalokwo, has been declared wanted by the Modibbo Adama University of Technology, Yola, over N30m varsity school fees fraud involving 940 students. Our correspondent learnt that the 940 students of the institution risked being restrained from sitting for the second semester examination. The affected students were considered ineligible by the bursary department of the university to sit for the examination because they had reportedly not yet paid their school fees. According to the Students Union Government of the institution on Tuesday, preliminary investigations into the N30m school fees fraud linked Chalokwo, a former student of the university, now performing his NYSC programme in Zamfara, of executing 70 per cent of the fraud. “ More than 70 per cent of the students swindled of their school fees said they paid to Fidelis Chalokwo, who is now performing his NYSC programme in Zamfara, ” said Abubakar Lawan, the SUG Vice -President. He added that Chalokwo who was wanted to account for his crime, claimed he had left the country. 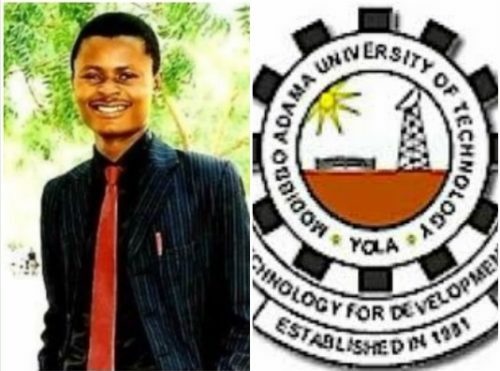 The SUG VP said the varsity believed the suspect was still in the country and in Zamfara. The Dean, Student Affairs, MAUTECH, Yola, Dr . Haruna Lawan, said over N30m was involved, adding that most of the students, instead of using their Automated Teller Machine cards to make the payments, gave cash to the online vendors who turned out to be fraudsters. He said the least of the school fees involved was N30,700, while other victims of the scams paid as much as N37,800 in school fees which never hit the school account. However, Chalokwo , posting on his Facebook page , said the management of MAUTECH was trying to cover its ineptitude by using the 940 students to make up for its shortfall in revenues. He dismissed any wrongdoing on his part. He said , “ The university should instead get the incompetent Flexisaf to account for the 940 failed registration rather than its current manhunt for me and my colleagues. But whatever you want to believe, please , note that my colleagues and I successfully paid your fees and registered for your courses for 2016 session. 0 Response to "Zamfara Corper Declared Wanted By Modibbo Adama University Over N30m Scam – PHOTO"